It provides companies with an affordable and powerful way to reach people at any time of day. No matter if you are a small business, or a multinational company, social platforms provide interactions that result in lasting impressions. The wine industry is a great example on how companies have used social platforms as an online marketing tool. Wine is an “experienced good”, consumers need to taste and see it in order to distinguish if they like it. Since there’s thousands of different wines, it is difficult to experience even a small percentage of them. Nowadays consumers are turning to social media to seek advice from experts and friends to determine which wines they should purchase. Consumers respond strongly to the influence of social networks, this is why it’s very important to build a positive relationship with them through social media. Companies can quantify social media success by using tools like Google Analytics or Salesforce, these applications help track sales leads back to specific campaigns or social messages. In the U.S 94% of wineries are on Facebook while 73% are on Twitter. 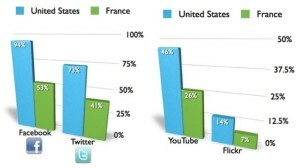 This is a much bigger number compared to France, In France only 53% are on Facebook while 41% are on Twitter. Social media has proven to help almost half of those wineries in the U.S. 47% of those wineries have said that Facebook has helped them generate more sales. This is simply through brand interaction, customer experiences and reviews. Wineries are putting a lot of focus on online marketing due to the fact that it’s inexpensive but very effective. 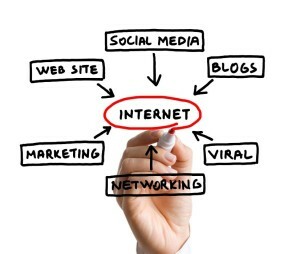 With online marketing you can display your brand image and build countless relationships one click at a time. Over the coming weeks we’ll be highlighting the various social media outlets that you can leverage to engage your customer, including Facebook, Twitter, Pinterest and more. Building a social media strategy, gathering good tool to help you manage and track ROI are critical. We’ll highlight the best and point out the pitfalls.